American Acoustical Products waterjet high-speed machine includes servo controlled roll feeding capability integrated with an automated feed across a large 8' by 12' cutting bed. This capability expands our already impressive array of cutting capabilities and now improves our ability to service high mix and prototype customers without hard tooling costs. 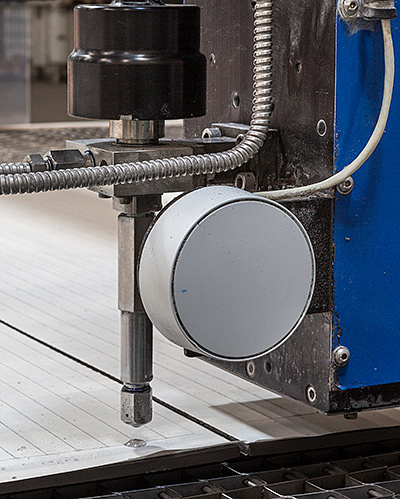 In addition, we have deployed several lean manufacturing tools into the new waterjet cell to ensure that it operates at the required performance levels of safety, quality, delivery, and cost.